We are pleased to announce that Dr. Jiangping Chen has been appointed Chair of the Department of Information Science. 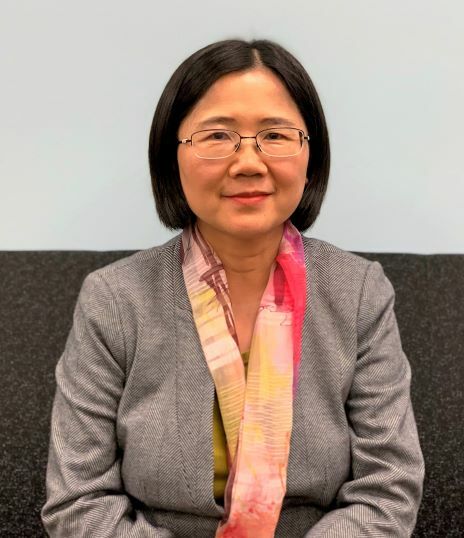 Dr. Chen currently serves as a professor in the department, teaching graduate and undergraduate courses in Data Science, Database Systems, and Information Architecture. “I am very excited to serve as the Chair for the department and I am looking forward to working together with the faculty and staff in educating future leading information professionals, advancing knowledge, and serving the data and information professions,” said Jiangping. Dr. Chen graduated from Syracuse University in 2003 with a Ph.D. in Information Transfer. She earned her B.S. in Information Science from Wuhan University and a Master’s in Information Science from the Library of Chinese Academy of Science. Dr. Chen joined the department as an Assistant Professor in 2004. In addition to teaching graduate and undergraduate courses, she also supervises the department's Graduate Academic Certificate in Digital Content Management. Her teaching and research areas include Information Retrieval and Access, Digital Libraries, Data Science, and Information Systems Design. She has directed the UNT Intelligent Information Access Lab. Dr. Chen’s research has been continuously funded, and she has secured more than one million dollars in grants in recent years. She published a monograph on multilingual access and services for digital collections by Libraries Unlimited in 2016, and more than 60 peer-reviewed journal articles and conference proceedings. She has served as the Editor-in-Chief of The Electronic Library (TEL), an international peer-reviewed journal in Information Organization since 2013. The faculty and staff look forward to working with Dr. Chen in helping to achieve the department's goals, and effectively serving our students, alumni and stakeholders.